Cherish Kids is a ministry of James River Church. It was founded on the belief that every child is a gift from God and deserves to be cared for and cherished. Cherish Kids endeavors to improve the quality of life for children who find themselves displaced or orphaned. Web Marketing Services, LLC is honored to work with Cherish Kids in their efforts to make a difference in the lives of children. 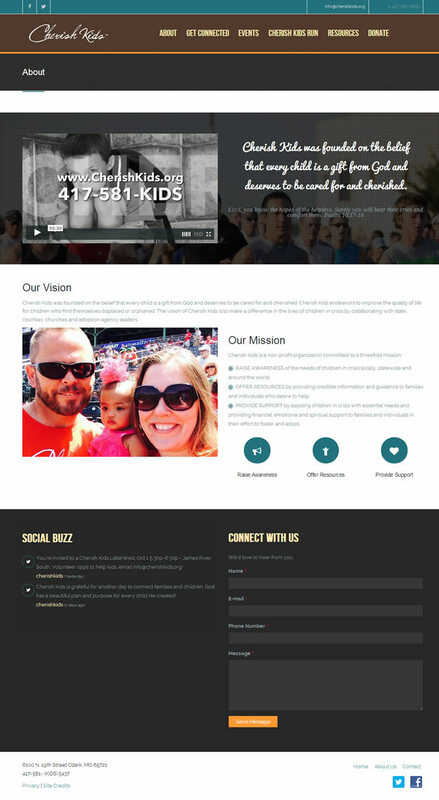 One major feature developed for Cherish Kids was an e-commerce component. 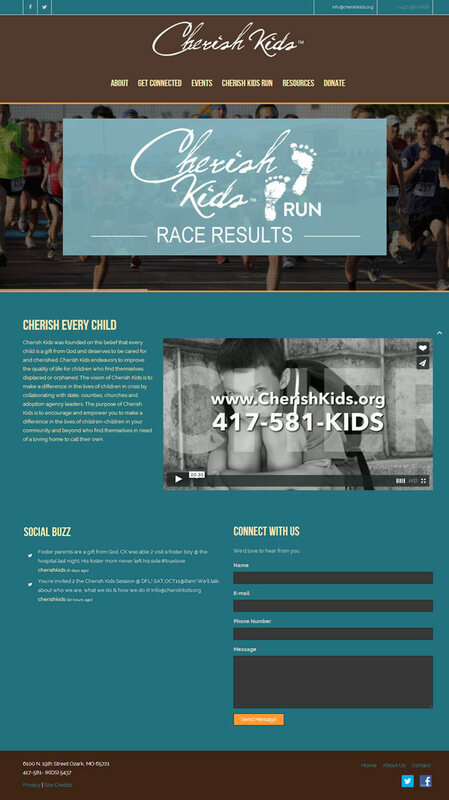 This feature allowed site visitors to easily register for the annual Cherish Kids Run. If you've ever coordinated an event that required online registration you understand the unique aspects involved. The e-commerce feature was built to allow a user to register multiple people (such as an entire family) at one time and collect all the data needed for each participant (name, shirt size, etc). The data can then be exported in a format that is easy to use.